Impressive gold bath filler with a stylish waterfall spout. 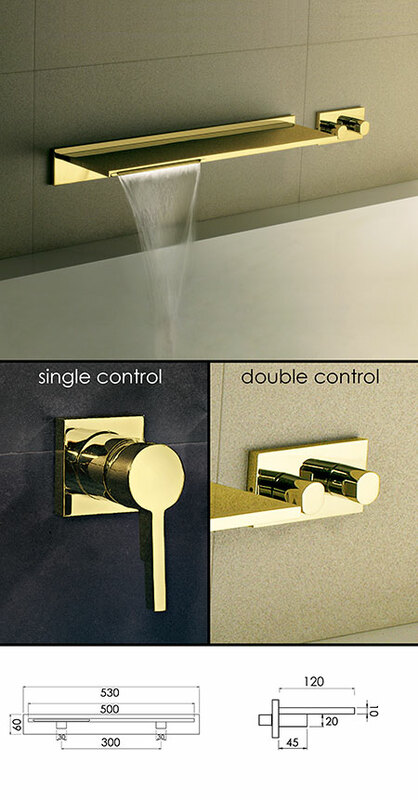 This 500mm wide waterfall spout can be operated via a single or double tap control which is fixed remotely, with a choice of deck or wall mounting. * Remote Single or double control. * Gold plating on solid brass.